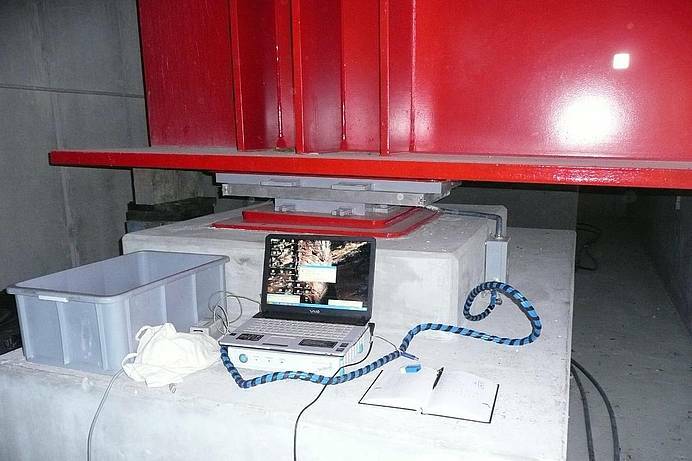 MAURER Monitoring Systems are tailor-made monitoring systems for product and structural monitoring as well as for continuous detection of impacts on the structure caused by traffic, temperature, earthquake and wind. 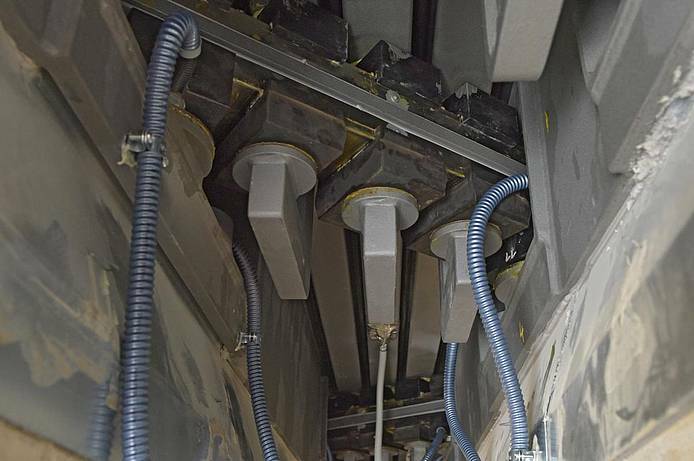 All MAURER products can be equipped with tailor-made MAURER Monitoring Systems. 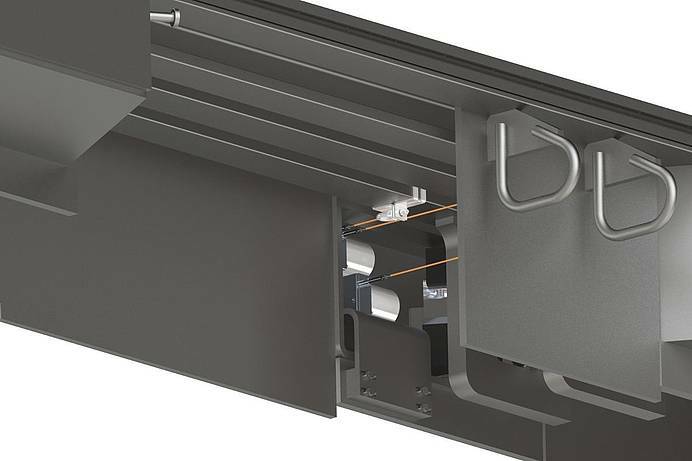 A special feature is that the sensors are individually adapted to the component and the structure and integrated in the MAURER product. The products equipped with such instruments are calibrated in the laboratory or after installation in the structure under predefined loads or deformation and delivered with a calibration certificate. 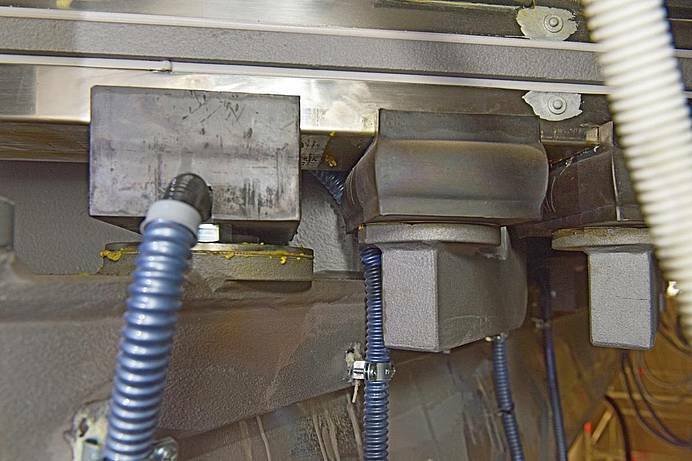 This results in robust, durable sensors and precise measuring values. 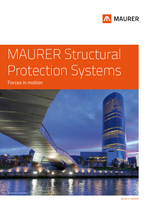 MAURER Monitoring Systems monitor MAURER products by controlling functionality, identifying wear and detecting damages. 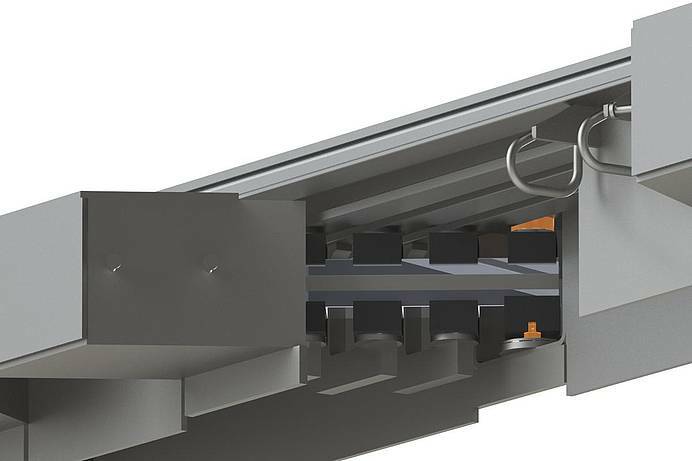 For sliding bearings, the height of the sliding gap is a direct indicator for the load on the sliding material. When a threshold value is exceeded, the operator will get a warning message. 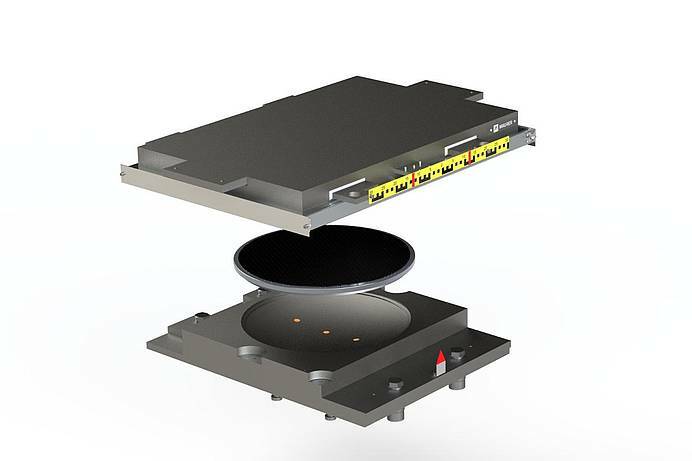 The sliding path is an indicator for the exploitation of the bearing capacity and, as accumulated sliding path, also an indicator for the load on the sliding material. 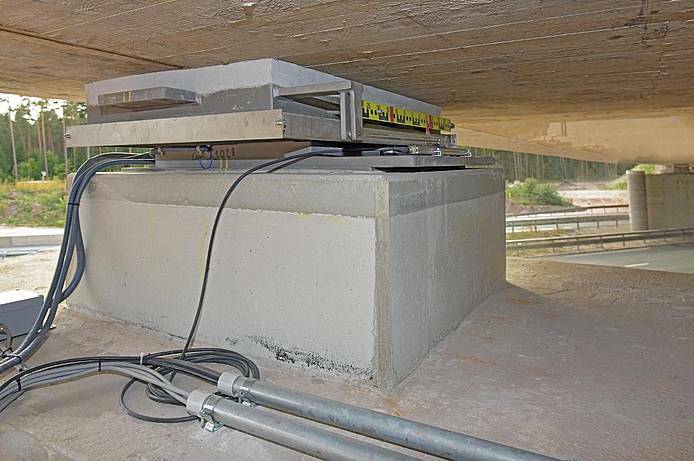 Continuous detection of the accumulated sliding path combined with the sliding gap enables a prognosis for the service life and economically efficient coordination of structural maintenance management. For elastomeric bearings and pot bearings the monitoring of buckling, deformation, and tilting is relevant for the exploitation of the bearing. The monitoring of changes in stiffness adjusted by temperature influences captures state, service life and possible bearing damage. 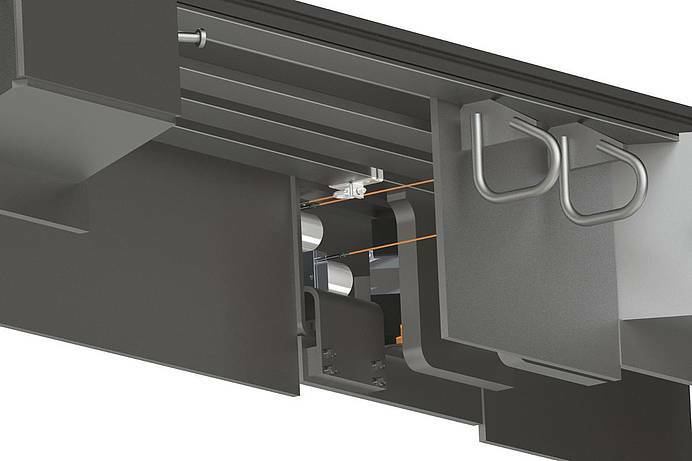 For single profile and modular expansion joints as well as finger joints the load is determined by means of relative (longitudinal and transverse) and accumulated structural gap. Functionality is monitored by observation of individual lamella spacing. 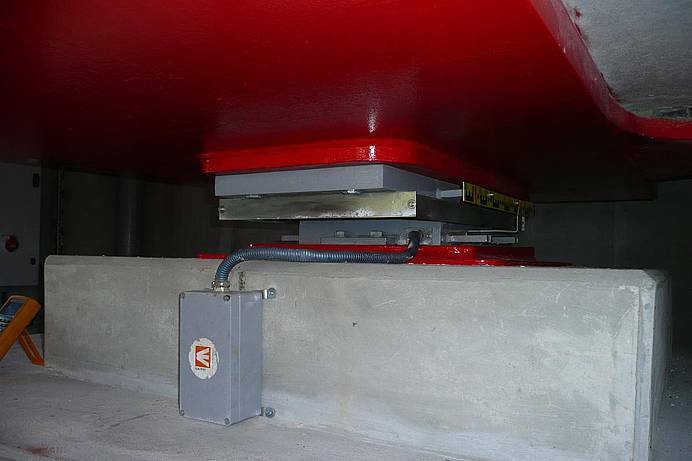 The determination of the vibration behavior enables identifying damages at an early stage. 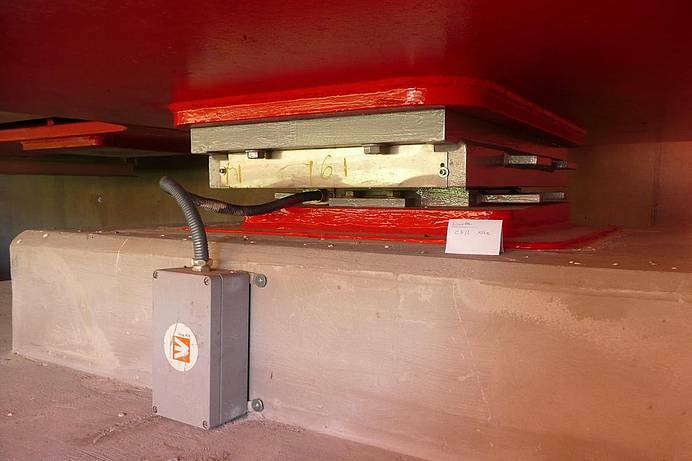 Besides the sensors integrated in the component, for this purpose a seismograph has to be integrated in the measuring system to clearly identify an earthquake and to temporarily measure the reaction of the isolator with a high sampling rate. Exploitation and load on the isolators are monitored. 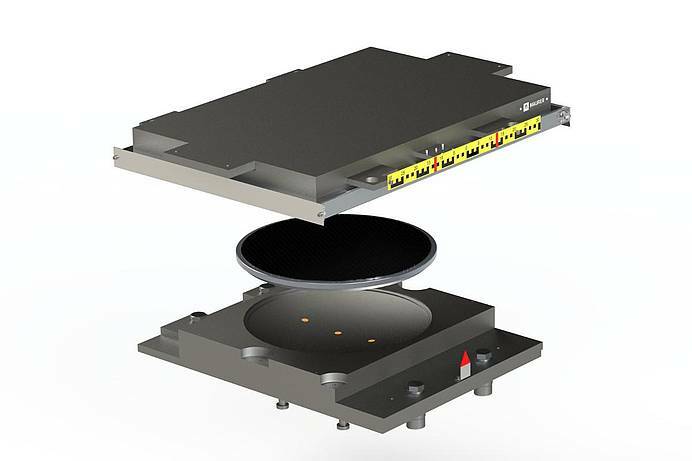 Generally it is recommended to combine product monitoring and measurement of the structural or ambient temperature in order to adjust the measurement results of temperature effects. 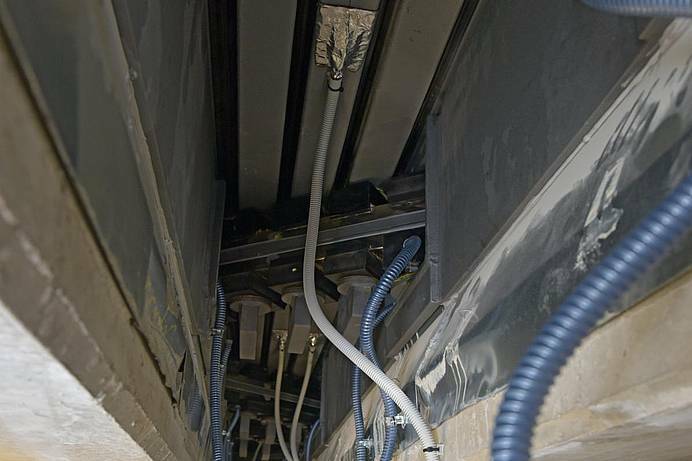 MAURER Monitoring Systems also provide information regarding behavior and state of the structure. 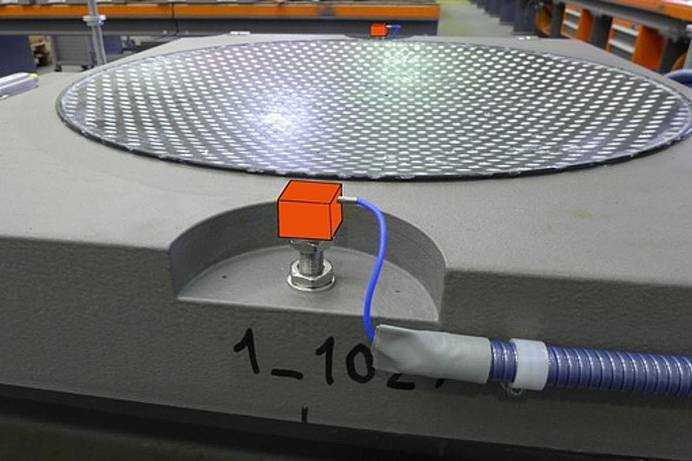 Particularly spherical bearings with load measurement and measurement of translations and rotations provide data on dead weight, stiffness and thermal behavior. 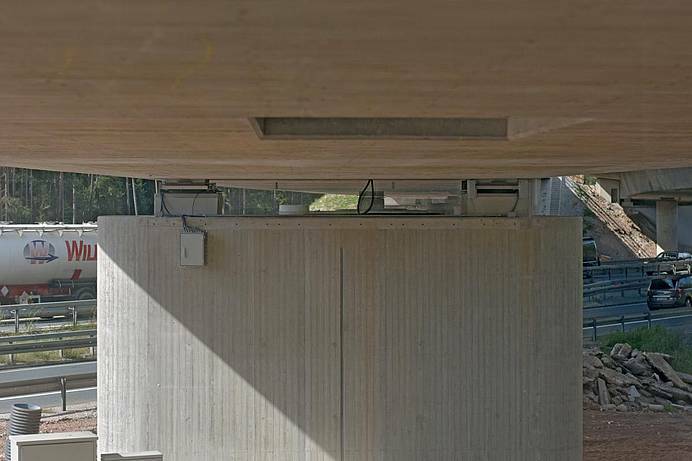 Changes in the stationary values of dead weight, bearing twist and bridge stiffness are indications for a system modification of the bridge, e.g. 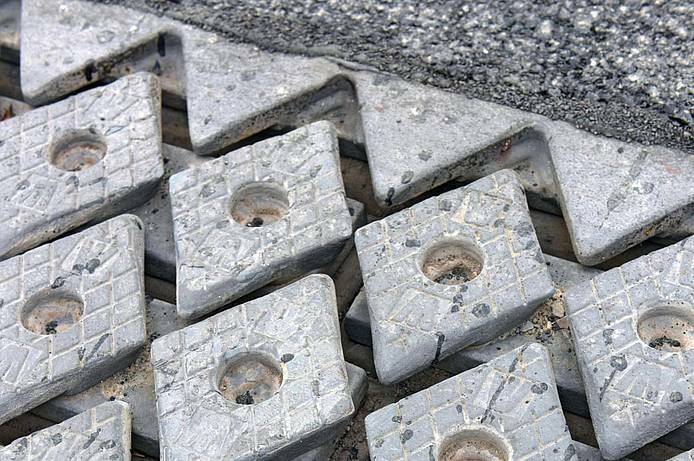 through constructional measures, placement of pillars, or changes in force transmission of the prestressing steel. 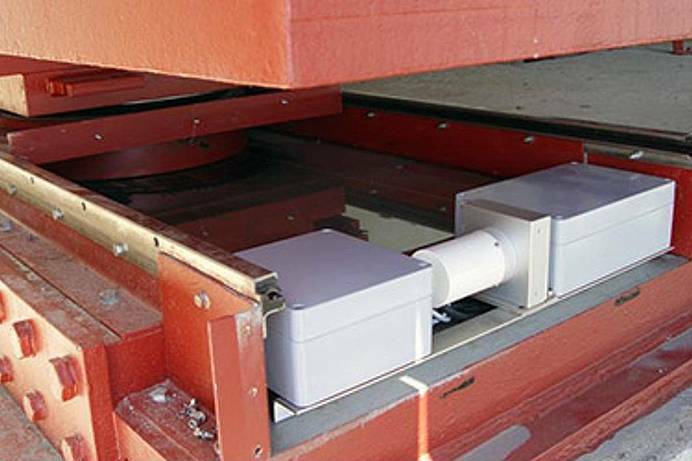 MAURER Monitoring Systems also provide information about impacts when capturing the measuring signals of high-frequency signals and evaluating them with complex algorithms.